Take a look at most oil and gas infrastructure — wellheads, pipes and cylindrical storage tanks — dotting New Mexico oil and gas fields, and little seems to be happening. But use the right equipment and you can see gases, including methane, wafting into the air. Heading skyward with methane, the main component of natural gas and a greenhouse gas that contributes to global warming, are royalties some say the oil and gas industry could be paying New Mexico. An April report from Taxpayers for Common Sense, a national budget and taxpayer advocate, analyzed federal leases through the Office of Natural Resource Revenue and estimated that the gas lost nationwide on federal lands in 2016 was worth $75.5 million. Half of the gas lost between 2012 and 2016 came from New Mexico. When Gov. Susana Martinez was sworn into office nearly eight years ago, she had this to say about educating children in New Mexico: “Nothing we do is more indispensable to our future well-being or will receive more attention from my administration than guaranteeing our children a quality education.” New Mexico had received an “F” for K-12 achievement on a national education grading report. Fast forward eight years. As she winds down the final year of her second term, New Mexico earned a “D-” for K-12 achievement from Education Week’s Quality Counts report — and our overall grade actually sunk from a C to a D, dropping from 32nd to 50th out of the 50 states and the District of Columbia. 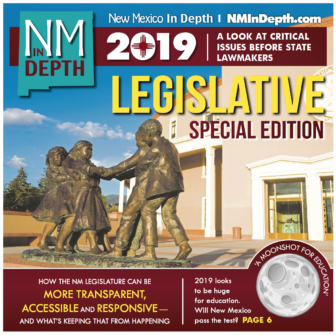 There’s more to learn about that progress — or lack thereof — in trying to improve education in New Mexico, other than “it’s hard.” Turning around a system as large as public education is like turning an aircraft carrier. 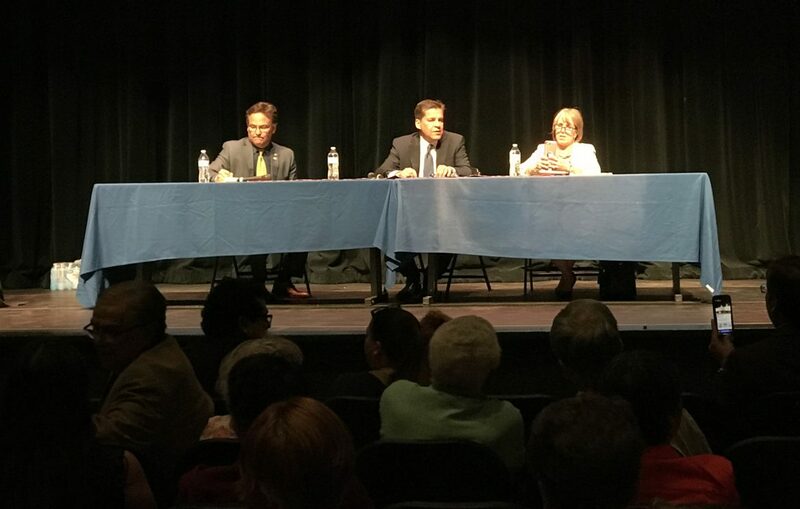 The three Democratic candidates for governor met in a forum in Las Cruces this week to showcase their plans to change the direction of New Mexico, which has suffered what some economists have called a lost decade after the Great Recession — a period when New Mexico lost more than 50,000 jobs, wages stagnated and more families ended up on public assistance. The evening at the Rio Grande Theatre before a nearly full house was at times testy, with former media executive Jeff Apodaca taking a potshot at frontrunner Congresswoman Michelle Lujan Grisham for skipping previous forums with her opponents in his opener, and lawyer and state Sen. Joe Cervantes calling out Apodaca on his lack of understanding about New Mexico’s water woes in the face of Texas vs. New Mexico and Colorado. But on the whole, the format kept crosstalk at a minimum, with no rebuttals allowed and candidates unable to directly question one another. The three Democratic hopefuls took on a wide array of topics, from legalizing marijuana (Apodaca: legalize, Lujan Grisham: legalize with safeguards, Cervantes: decriminalize), the behavioral health meltdown in the state, the state’s messy tax code, renewable energy plans, and education. When candidates file their campaign finance reports Monday, there will be all types of ways to analyze the data. One will be to look for the biggest donors. But identifying them can be tricky. Even though New Mexico passed campaign contribution limits in 2009 after several high-profile elected officials went to jail for corruption, people still have the potential to contribute more than the limits by giving through companies they own, or combining with family members to give. 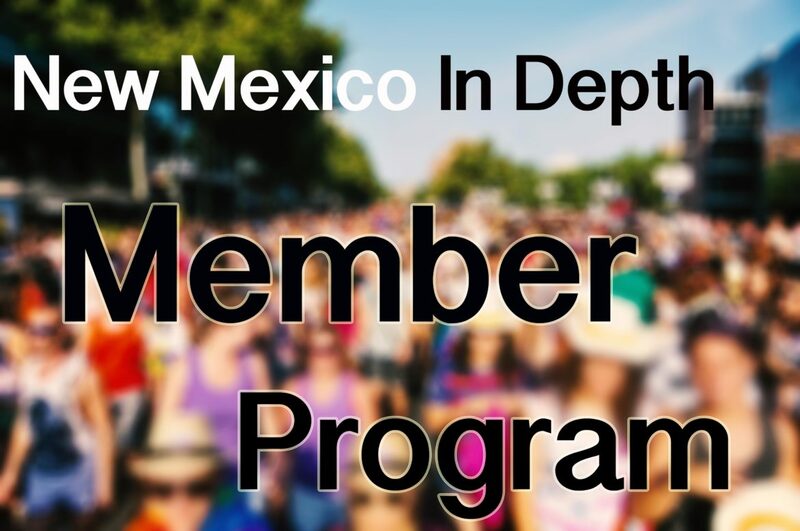 This year New Mexico’s campaign contribution limit for statewide office is $5,500 in both the primary and general election cycles.